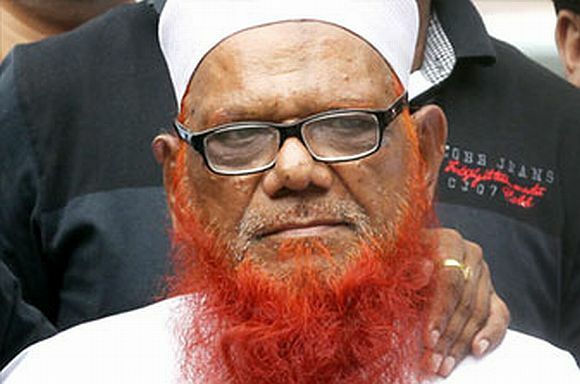 Lashkar-e-Tayiba activist Abdul Karim Tunda was on Friday admitted to the All India Institute of Medical Sciences for special cardiac care. The 70-year-old LeT ideologue, who was arrested on the Indo-Nepal border last Friday, was on Thursday night admitted to the Safdurjung hospital after he complained of chest pain, the police said. However, keeping in view the specialised care and security concerns, Tunda was shifted to the AIIMS on Friday afternoon and admitted to the Intensive Cardiac Care Unit. A heavy contingent of armed police guard has been placed outside the ICCU unit of the AIIMS where Tunda, who has been giving details about the spread of terror group Lashker-e-Tayiba in India, is being treated. Doctors attending on Tunda refused to divulge any details about his health condition. Tunda, who is in police remand till Saturday, was attacked by a group of Hindu activists outside the court in the Patiala House complex where he was being produced before a magistrate.